Great sheet for the price. They fit my portable mattress like a glove. I always wash them before I put them on his bed and it washed great. I also put it in the dryer and it didn't shrink at all. 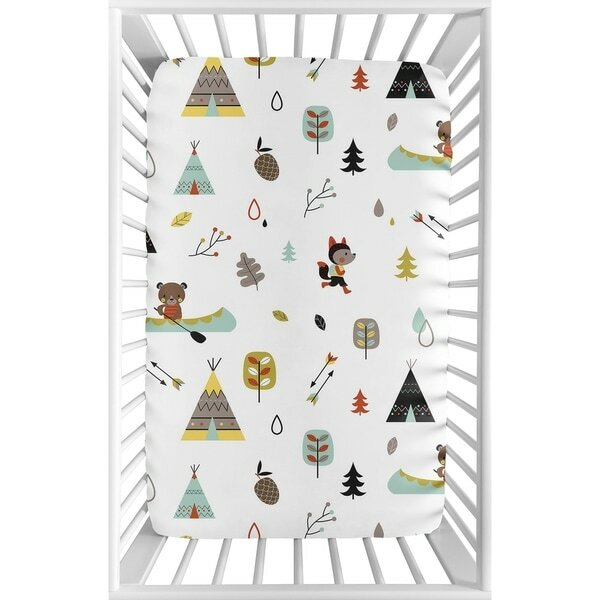 Sweet Jojo Designs mini crib sheets are designed for smaller size cribs, play yards, and portable cribs. Made with soft and cozy fabrics in exclusive patterns and colors, Sweet Jojo Designs mini crib sheets add a stylish look to your space saving nursery. Dimensions: 24 in. x 38 in. x 5 in. Dimensions 38.0 In. X 24.0 In. X 5.0 In. So cute. Very fun crib bedding. Sheet is very soft and colors are very soft . Quality seems very good haven’t washed yet. I would recommend this product. Very cute baby bedding and very soft. We are looking forward to using this for our new baby who is on his way. Easy to wash. And a great price. Love this, very pleased with product.